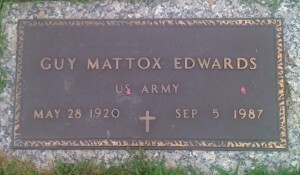 Today I visited the grave where my dad is buried. I’ve done this for years whenever I visit my hometown of Bartlesville, Oklahoma. I have wondered why I feel compelled to do this when I’m here. It’s not like the grave marker has changed or the grave’s location has moved. The grave is essentially the same as it was 23 years ago when we buried him. And yet, I make the short trip from my mom’s home as religiously as anything I have ever done. I’ve also noticed as I get older that I’m more concerned about preserving the history, heritage, and legacy I’ve received from both of my parents. I’ve turned the loft in my home into a sort of memorabilia area with photos and items that I’ve acquired from my mom and others. Years ago my mom began collecting and organizing records and documents on our family and I’m anxious to see that these things are preserved and the work continued for the sake of future generations. As I age I have a growing appreciation for my family and the history associated with it. It even feels more important to me (at the moment) than my own particular history, though the two are clearly connected in many ways. Somewhere in my heart there is an awareness that who I am is connected to the family from which I came. And it’s more than the obvious influence these people have had and still have on my life. There is something in me that needs the history and legacy of these people to help me know and understand my own story. It underscores for me the need God has placed within each of us to understand where we came from and where we fit. We each have some memory of the past and an awareness of the present. This memory and awareness feeds our identity and informs our sense of belonging. They shape who we are and foster a sense of value within us. But they also create within us an expectation that the future is filled with possibility and the potential for good and happiness. Our understanding of the past and perception of the present drive our hope for the future. 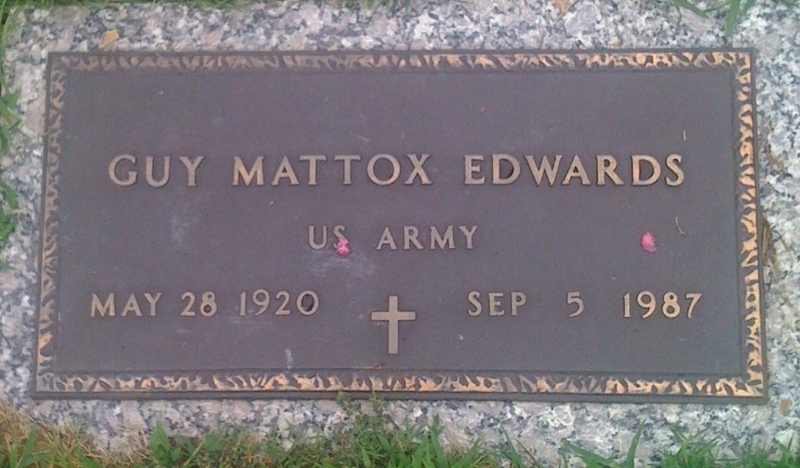 So, I expect I’ll keep making the short trek to my dad’s grave when I’m in Oklahoma. I’ll keep taking photos of the simple marker that has yet to change. I’ll stand over his “final resting place” and reflect on the rich legacy I’ve inherited. I’ll grieve over the failures and shortcomings of my own life. And I’ll consider how to redeem the remaining days of my increasingly short life on this earth. As I said good bye to my dad (again) today, I said, “Well, Dad, I hope one of these days I’ll leave some kind of legacy you can be proud of.” Even more important, I hope my own son will stand over my grave someday and be proud of what I’ve left for him.